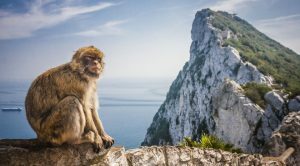 Questions regarding Spain’s possible appetite for Gibraltar have once again been raised after it used the word “colony” about the British Overseas Territory in an EU document on proposed legislation for free movement. The document, which has allegedly angered the British embassy in Brussels, states that “Gibraltar is a colony of the British crown”. As a result, an official protest against the inappropriate language used by Spain was filed by Britain’s permanent representative with the European Union, Sir Tim Barrow. The wording of the document, however, made the UK representatives raise their eyebrows, as it seems that Spain continues to seek further support for its claim to Gibraltar, as it is obviously putting the issue regarding the territory’s sovereignty under question again. Considering the upcoming Brexit, the legal statute of Gibraltar could turn out to be among the hottest topics related to the UK’s withdrawal from the EU, at a time when Spain seemingly remains interested in taking hold of the highly-profitable gambling sector of Gibraltar. In its protest letter, the UK rejects the characterisation of Gibraltar as a colony and reaffirms the certainty of the British Overseas Territory’s sovereignty. 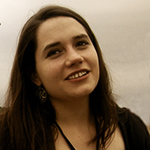 The country insists that the sovereignty of the territory was ceded under the Treaty of Utrecht from 1713. Apart from that, both British and Gibraltar residents have voted in favour of British rule to remain. Gibraltar gained a statute of a dependent overseas territory in 1983 along with the rest of the crown colonies and was relabelled as a British Overseas Territory in 2002. The aforementioned document confirmed that controversy between Spain and the UK regarding the sovereignty over Gibraltar. According to Spain, a solution to the matter needs to be reached in line with the decisions and resolution of the United Nation’s general assembly. As previously reported by Casino Guardian, Gibraltar has already received Spain’s support on matters regarding its sovereignty, with Brexit approaching. 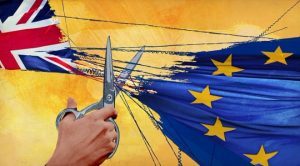 The British Overseas Territory has reportedly been seeking ways to offset the negative consequences which are expected to hit its gambling sector should a no-deal Brexit is carried out by the UK at the end of March. 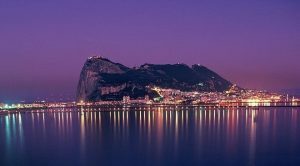 The last few years have seen Gibraltar become one of the most attractive destinations for gambling operators because of its more favourable gambling legislation and tax regime. 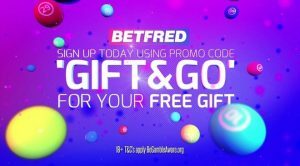 However, with the UK’s withdrawal from the EU approaching, a number of gambling companies, including giants bet365 and 888, have already revealed their intentions to relocate some of their operations to Malta in order to avoid the negative impact which Brexit is expected to inflict on the local gambling industry. At the time when these announcements were made, Spain has reassured Gibraltar that the existing situation for the gambling sector would not be drastically changed. As explained, the status quo is set to be kept pretty much in its current state thanks to a political agreement signed between Spain and Gibraltar, as part of the two parties’ efforts to reach an assurance regarding the status of employees who travel from Spain to Gibraltar on daily basis, as they are currently employed in the gambling sector of the British Overseas Territory. According to reports, these employees represent about 60% of all workers in the local gambling industry. Lately, there have been concerns regarding the gambling industry of the British Overseas Territory, and especially the ones in Gibraltar and the Isle of Man. Doubts have occurred whether or not Gibraltar is to remain part of the UK after the Brexit. The residents of the Rock, however, chose to stay in British supremacy, despite the fact that its gaming sector would probably be seriously trimmed after the free movement is slashed as a result of the UK’s withdrawal from the EU. 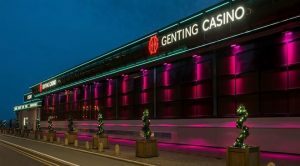 In case that Spain chooses to tighten up its border controls after Brexit, a wave of layoffs could also be expected, especially with some major gambling operators relocating their operations to the market of another EU member state.